This ebook is a collection of 10 years of performing hypnosis in some of the worst bars and backyard parties through out the midwest. These are hypnosis seeming effects that you can do anywhere to create the illusion that you CAN control minds for real! These are the ideal pseudo hypnotic effects that can put almost any audience deeper into REAL hypnosis as well by allowing audiences to go deeper with these convincing effects. In fact no hypnosis is necessary to perform any of these magic and mentalism effects. This is a collection of effects that will allow you to add 20-30 minutes of pseudo-hypnosis to your show. This manuscript mixed with some real hypnosis will make an amazing way to impact audiences. 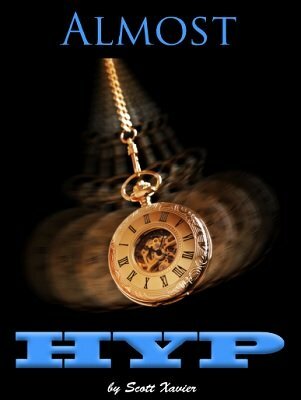 If you are a magician wanting to hit a new market, or a hypnotist needing strong and devastating effects to insulate your hyp show, you will love this collection of pseudo-hypnotic effects. All hypnotists have at one time or another hit that one audience that will not go under. Now you'll have a collection of the strongest pseudo hypnotic effects to perform.